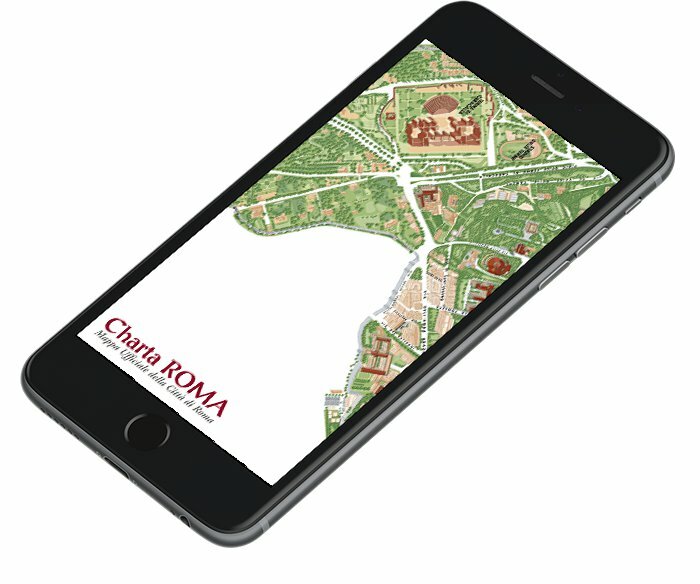 Charta Roma Map is an evolution of the paper map and it is mostly used by tourists while walking around the city and choosing places of interest to visit. The augmented reality enables you to ‘draw’ a printed image and add real time 3D digital contents, promotional videos and documents. Framing with Smartphone or tablet one of the points of interest marked on the map, this comes into life through a 3D reproduction of a monument or an event. The map also contains a multilingual audio guide, videos, images, tours and immediate interaction with the web so as to have information and insights about monuments and landmarks. The App can be downloaded on Google Play Charta Roma AR and App Store free of charge.